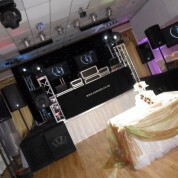 AK Musik has been at the forefront of the DJ scene since the early 90’s and is extremely experienced in providing Indian wedding DJ entertainment. AK Musik understands the importance of your big day and provides the most professional DJ entertainment service, which will make your special day feel truly special. AK Musik consistently delivers dynamic, powerful and classy performances which will make a long lasting impression on all of your guests for years to come. Our fantastic Indian DJ services not only feature a carefully blended fusion of musical styles but also stunning visuals and lighting to help bring your event to life. 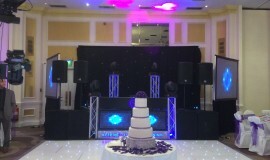 We have a number of Indian DJ packages available to suit you requirements. Our bronze package features a digital sound system which caters up to 100 guest, 2 moving head light show and smoke machine. 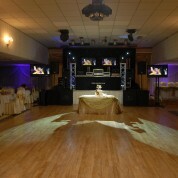 The silver package has a digital sound system which is suitable for up to 300 guests, a moving head light show which is controlled with software, starcloth and smoke machine. Our Gold package has a sound system capable of entertaining up to 600 guests and also includes dhol players, plasmas and a plasma booth. The platinum package has a sound system which caters up to 1000+ guests and also comes with LED vision cloth and projectors. 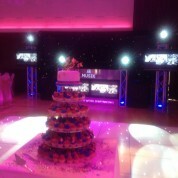 The diamond package is fully customisable; we can create the perfect package to meet your needs. We provide an exceptional standard of Indian and Asian DJ services, we use the best equipment to ensure you get a first class experience.